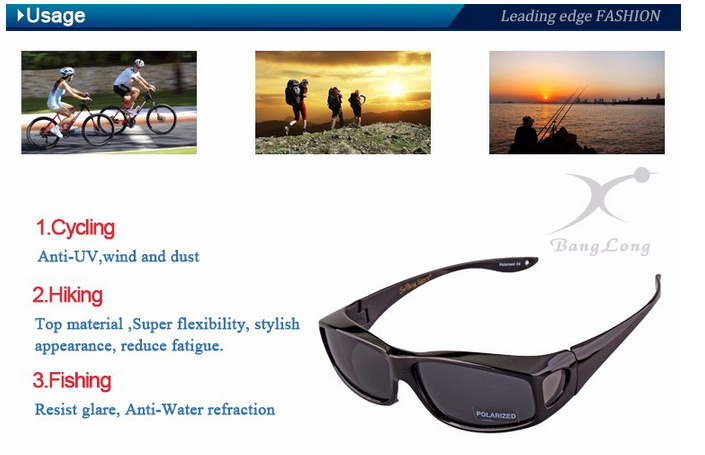 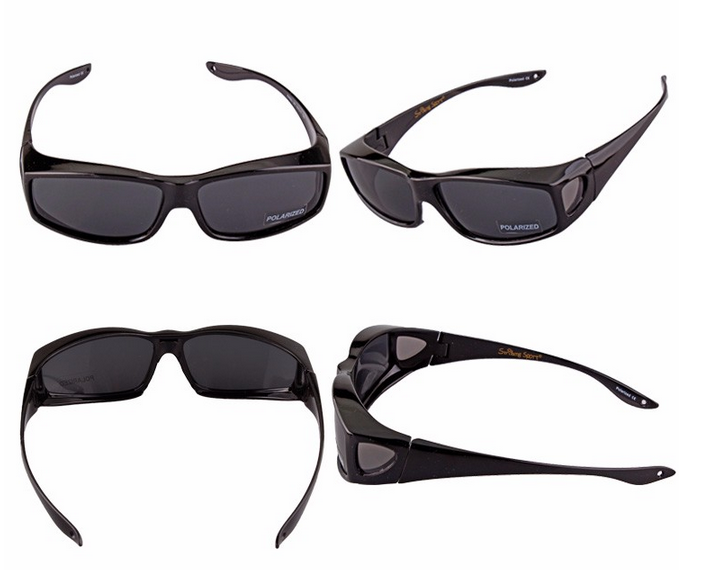 Fitover Style sunglasses that can be worn over prescription glasses. 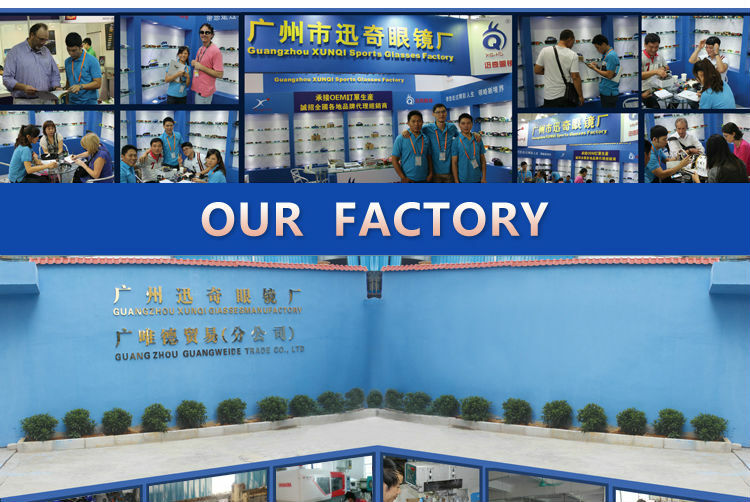 Package B: 1 pc into a case, cases in a white box, 50 pcs to one carton. 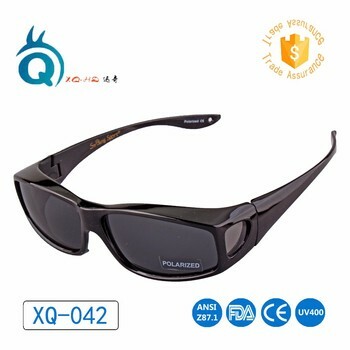 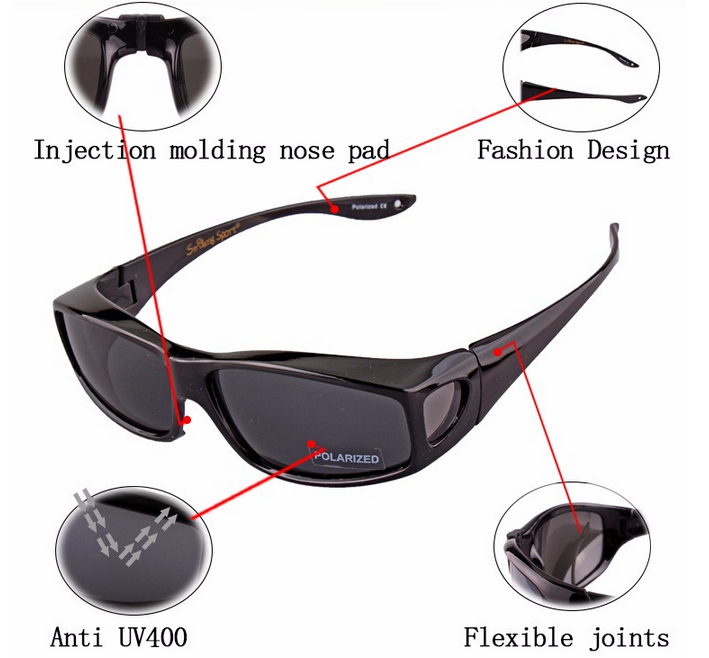 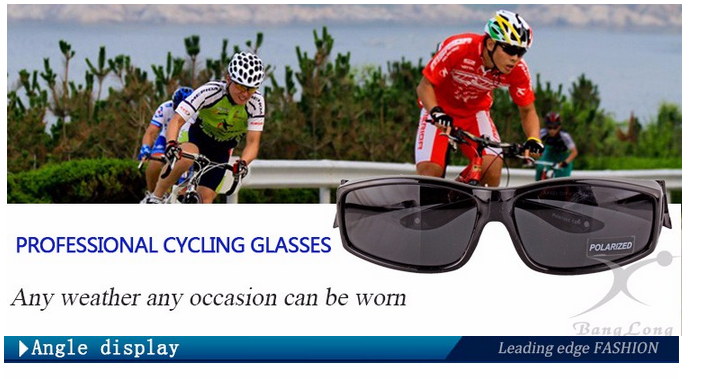 Our company has an excellent technical and management team, which stays in sunglasses industry for over ten years. 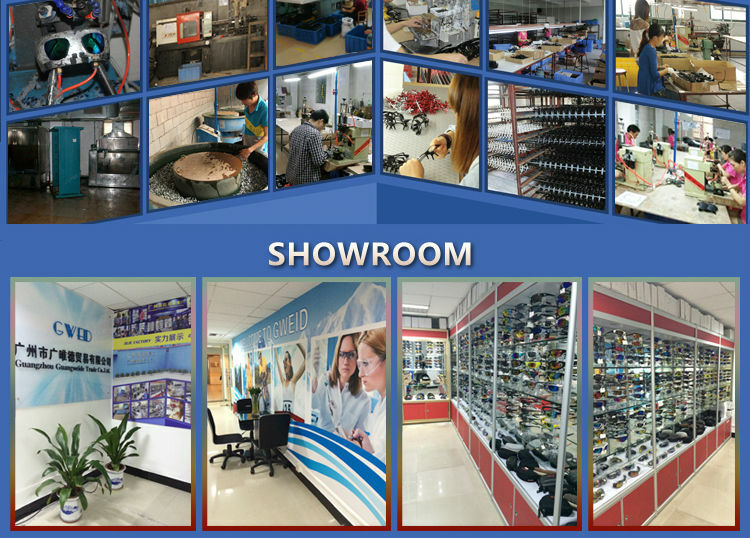 Our factory is located in Guangzhou, which covers a building area of5,700 square meters and more than 130 employees. 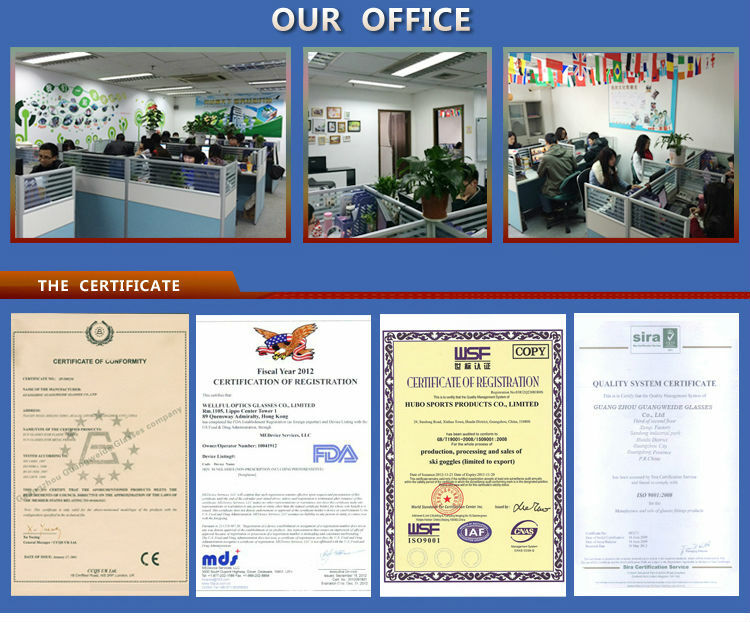 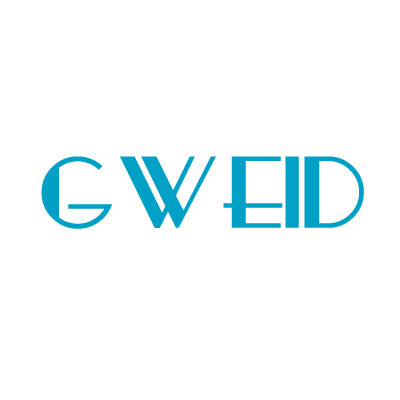 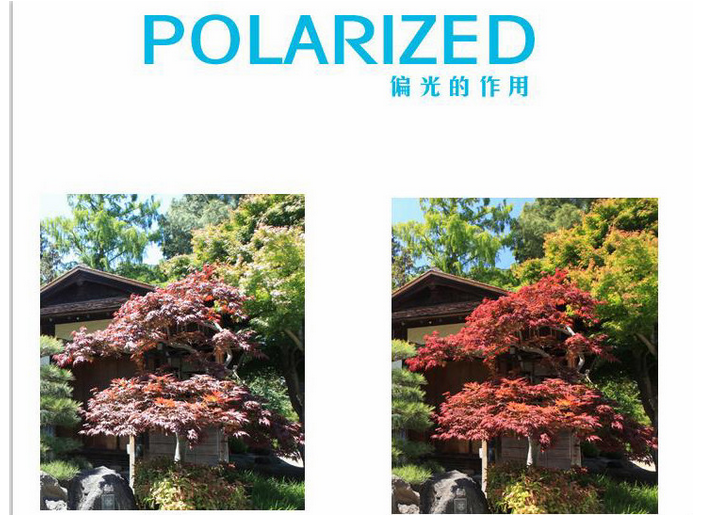 Our product is sold all over the world, we main market is America, Europe and Oceania. 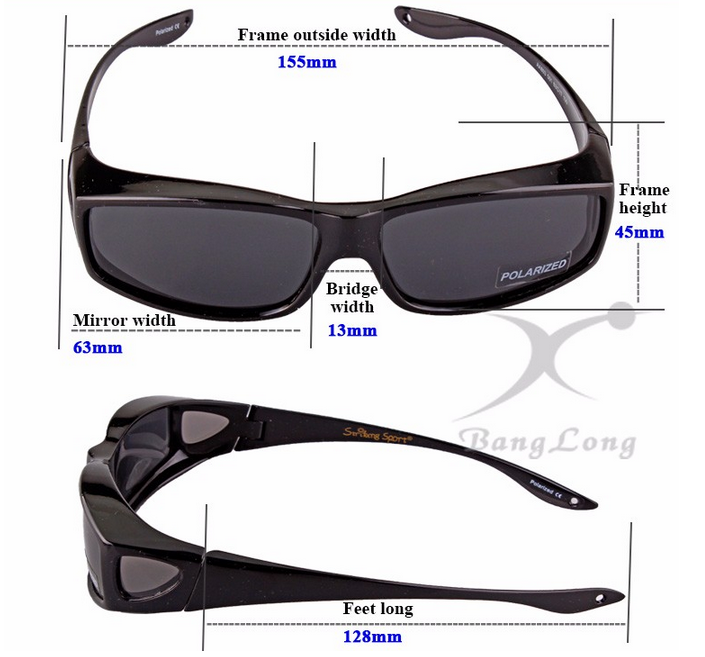 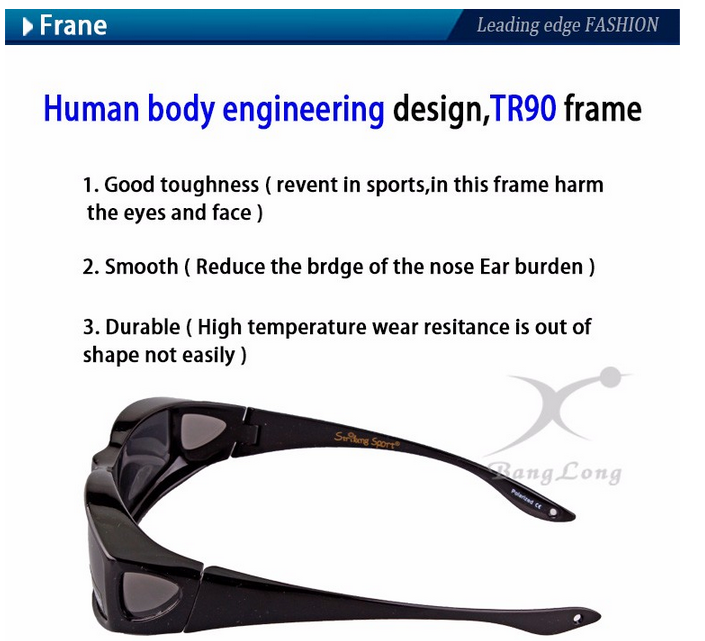 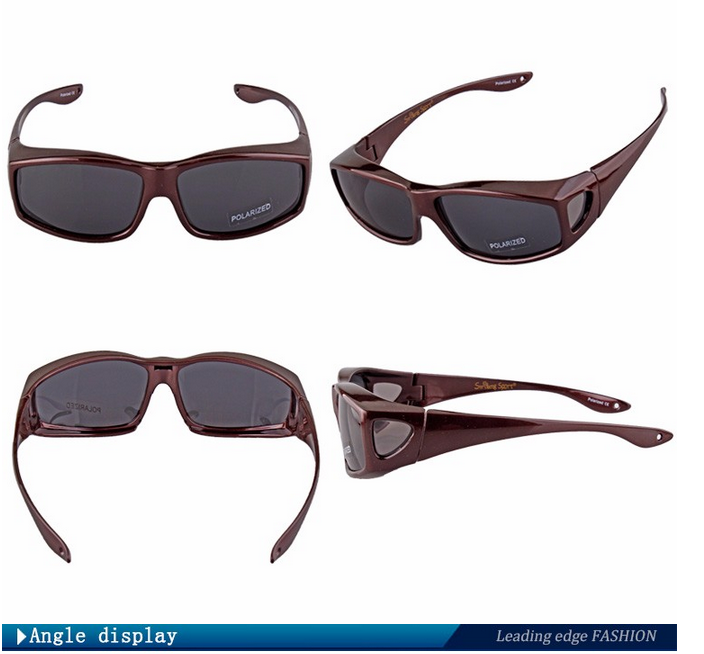 In addition, our manufactory has supply fashion sunglasses to D&G and Chopper for years, many purchasing agent are also looking for our company supplies.